Rob Howarth has been coaching kayakers and multisporters for nearly 30 years! As a sponsor of The Rodney Coast Challenge he has been involved with the event for 15 years and we are delighted to have his continuing support with Futureproof Life. 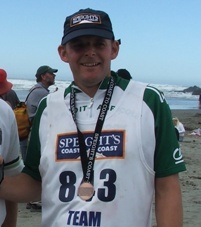 His multisport background also includes coaching and participation for the Kathmandu Coast to Coast (previously the Speight’s Coast to Coast). After 8 personal races Rob is now coaching an Orewa College school team with a view to competing in 2018. The Rodney Coast Challenge is a great race for individuals, teams and for experienced athletes and novices alike. With four short stages the race will take between 3 hrs 15 minutes and 6 hours, here is a breakdown of the course, transition and some tips to get you going. 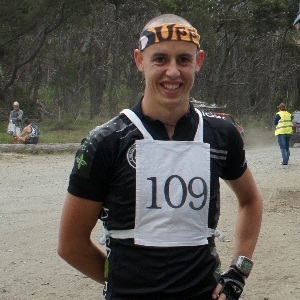 Kick off for my Multisport Season this year, the Rodney Coast Challenge, my first ever race, and one which I like to return to, and support as much as I can. Paddle paddle paddle before the race! My name is Catherine (Cathy) Houten. I am 14 years old and live in Kaukapakapa. 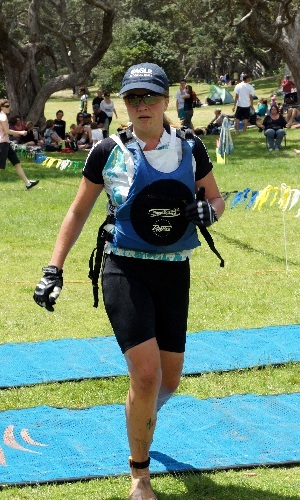 I first started at Kaukapakapa Scouts when I was ten, and found out about the Rodney Coast Challenge. The following year, when I was 11, I was entered in a team with my Dad’s work mates and did the mountain bike leg. The year after I did the road bike for them and last year the mountain bike. Thank-you to Canoe & Kayak North Shore for the entry to the Rodney Coast Challenge on November 14th. Having decided not to run the Auckland Marathon I thought it would be a good opportunity to compete in another multisport race.